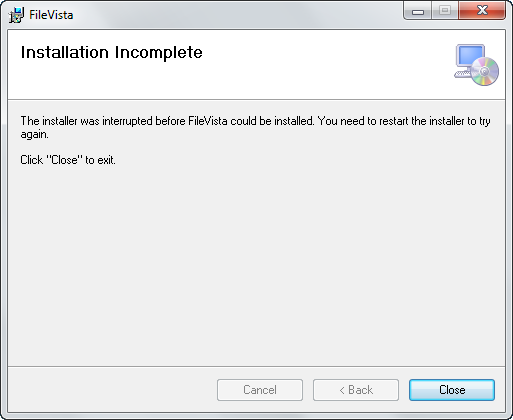 An improved EXE installer is available which can install FileVista on Windows 2003, 2008 and 2012 servers without any special server configuration so it will not require the below steps. 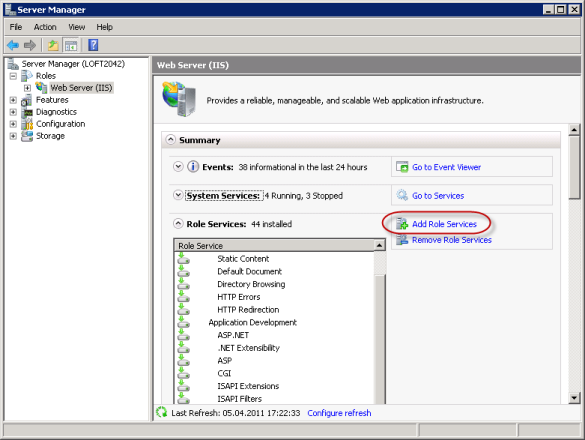 You only need to make sure IIS is installed and enabled beforehand. The installer will download and install .Net Framework 4.0 if required. Download and save FileVista-vX.X-Setup.msi from the download page to the target web server. Run the setup by double-clicking on FileVista-vX.X-Setup.msi and follow the setup wizard. Type in “cmd” without quotes and press Ctrl+Shift+Enter to open a command prompt as an administrator. Type in the full path to FileVista-vX.X-Setup.msi and press enter. 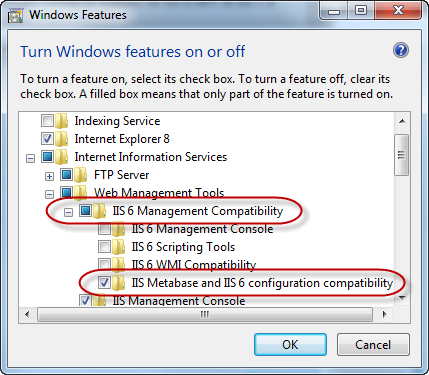 Put the path inside quotes if it has any spaces like "C:\Users\username\My Documents\FileVista-vX.X-Setup.msi"
You are possibly installing on a web server with IIS 7 (or higher) and IIS Metabase and IIS 6 configuration compatibility feature is not enabled. After this change, run the setup again and this time installation should be successfully completed. 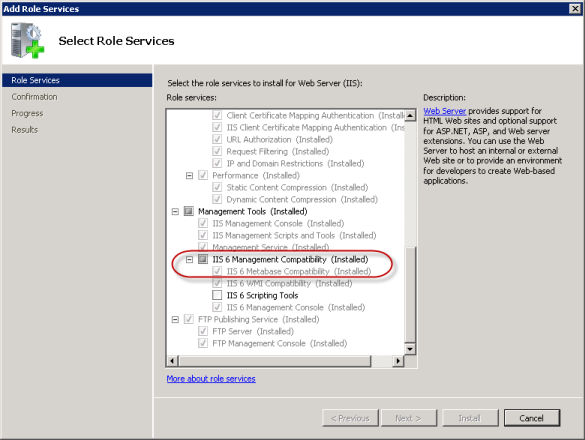 Before finishing the setup wizard, please read the configuration notes. You can also refer to these notes anytime by opening the document FileVista/help/configuration.rtf.